A place where the history of the region intertwines with the history of Poland. In 1227 a meeting of provincial dukes was held in nearby Gąsawa. While it was underway, Leszek the White – the Prince of Kraków and Sandomierz – was slain in a field near Marcinkowo Górne. His death had far-reaching consequences for Polish history. The events in Gąsawa and Marcinkowo Górne shattered the hopes of reuniting the parts of fragmented Poland, delaying it by nearly 100 years. 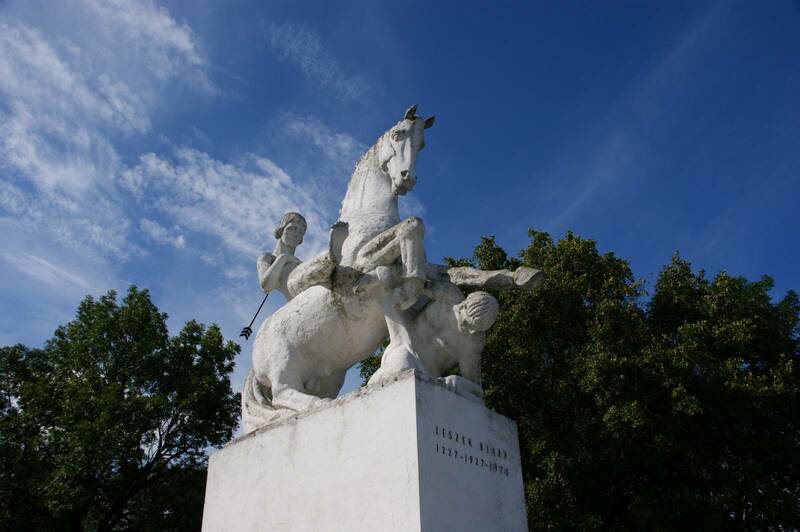 To commemorate the prince’s death, 700 years later in 1927, a monument was placed here – the work of Jakub Juszczyk, a well-known interwar sculptor. 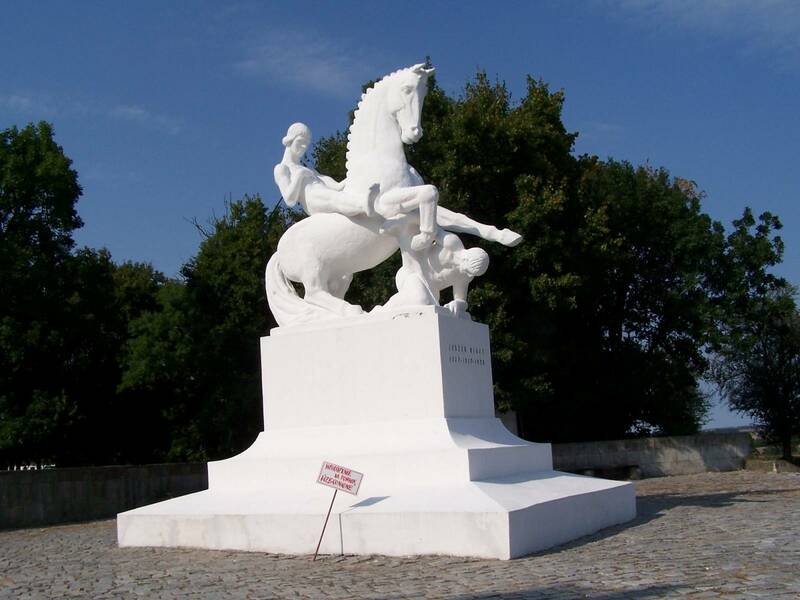 Destroyed during WW2, the monument was recreated in 1973; its current incarnation was sculpted by Rudolf Rogatty.